This week Liverpool FC became the first Premier League club to bring WiFi to their football stadium for the purpose of ensuring fans could connect online from their seats. Liverpool join the likes of Barcelona and Real Madrid by investing in internet connectivity. 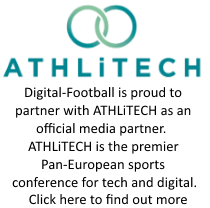 Two years ago, Digital-Football.com suggested and predicted we would start to see clubs ‘optimise’ their stadiums for connectivity and Social Media. We also predicted that the cost of doing this might be a limiting factor, which perhaps explains why clubs have been so slow to act on bringing their arenas into the 21st Century. What is the Connected Stadium? b) Can interact with the online web whether via tablet or mobile devices. With the rise of the smartphone in the last 5 years mobile devices and Social Media have become more and more entwined. As such, football fans are heading to stadiums armed with their phone – ready to tweet, share, Like and snap photos. Connected Stadium’s often involve having to improve 3G/4G connectivity or offering fans WiFi (either free of charge or monetised) so that they can connect and engage from the stadium without slow/non-existent connections. Why is important to have a Connected Stadium? Stadiums have previously been incredibly poor for phone signal/online connectivity. If you can imagine the sheer consumption and overload caused by 60,000 people trying to check in on their Facebook app, you might be sympathetic to the providers who have to deal with sudden surges in activity pre, mid and post-match. Connected Stadiums are important to football clubs in particular as they have their customers (the fans) captivated and all in one area where they can influence the thought process. Furthermore, a Connected Stadium is conducive to Social Media, especially when you consider that in sports, the stadium is often the heart of all life, history and activity. With this being the case, it is absolutely crucial that fans can share, engage, monitor and create Social Media engagement in the right places at the right times. In a Connected Stadium, fans can tweet their opinions, Instagram and share their photos, Like official club status updates, check in to the stadium – and ultimately but perhaps further down the line, purchase goods. Connected Stadiums should allow clubs to maximise on matchdays and improve their engagement levels. Furthermore, it should help improve other aspects of the club – international brand, merchandise, marketing, PR and even customer services. Is it just giving fans WiFi? No. Improving connectivity isn’t the only ingredient of a Connected Stadium – it’s a huge part of it but not the only element. Clubs need to ensure that fans have visibility first off – which means signage, programme materials, stickers on back of seats informing them how to properly access the WiFi and what the Social Media channels actually are! 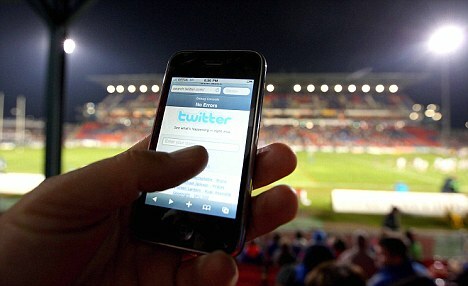 Secondly, they need to incentivise fans into actually using the system – this means offering discounts/prizes for geo-location check-ins, running matchday competitions, offering hashtags and even perhaps – as Manchester City have done so – moderate and promote selected tweets onto screens in the stadium to encourage further tweeting. Club Social Media campaigns need to be integrated into the stadium itself with offline call to actions, clever use of geo-locations tools and services and a strategy that facilitates match day content and spreads this to fans who can’t be in the stadium. If it’s so good, why are there so few doing it? The key problem that nearly all football clubs face is the sheer amount of investment that is required to physically buy, install and maintain an enterprise level WiFi system. The logistics behind undertaking this task only grows as the stadium capacity increase, so when you consider Wembley has 90,000 seats, trying to potentially cater for 90,000 individual mobile devices uploading an image of perhaps 3MB during a halftime period of 15 minutes – is quite demanding. What would you like to see in stadiums to help improve fan engagement? Are Connected Stadiums worth the investment?